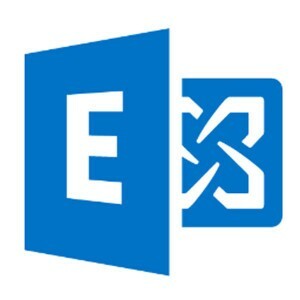 If you’re an iPhone user and have it setup with a Microsoft Exchange email account, you may have noticed a bunch of email addresses in your contacts that don’t have any names or information attached to them. This is because if you use Microsoft Outlook 2010 or older, there was a “feature” called Suggested Contacts that would keep a database of everyone you’ve ever emailed if they weren’t already in your address book. Outlook 2013 and newer has done away with this feature, so if you have the Suggested Contacts folder, you should be able to delete it. On your iPhone, if you go into your contacts, then click on Groups in the upper left, you’ll probably see a Suggested Contacts option. You can uncheck this option to hide those contacts in your contact list, but the phone will continue to sync them in case you ever turn it back on. If you don’t use this “feature”, here’s how to turn off suggested contacts sync from Microsoft Outlook 2010. Go to File > Options > Contacts and turn off the option to Automatically Create Contacts (at the bottom). From there, I went into my Contacts View and I deleted everything I had in my Suggested Contacts folder. Unfortunately, I wasn’t able to delete the folder itself, so it’ll still appear on my phone and in Microsoft Outlook, but once you delete all of the contacts, they shouldn’t re-appear since you turned off the option already.